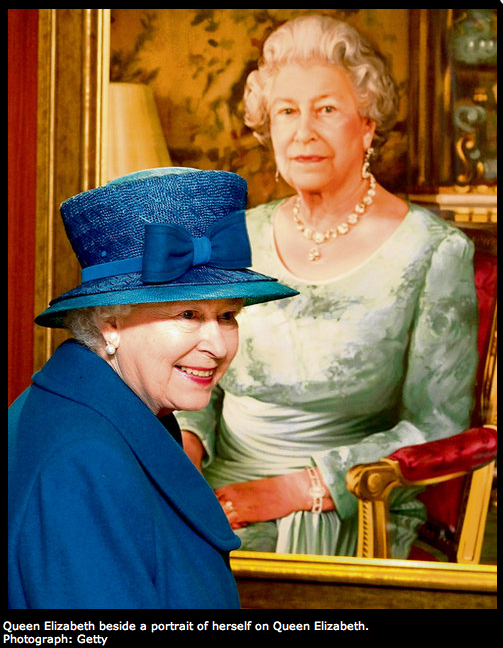 Queen Elizabeth beside a portrait of herself on the new Cunard liner Queen Elizabeth. CUNARD’S NEW 2,092-passenger ocean liner Queen Elizabeth – successor to the QE2 which retired in 2008 – was launched by Queen Elizabeth on October 11th, when she smashed a bottle of 2009 Cunard Graves (a Rothschild wine) against its hull. She was the only person there who could claim to have been at all three Queen Elizabeth ship namings. 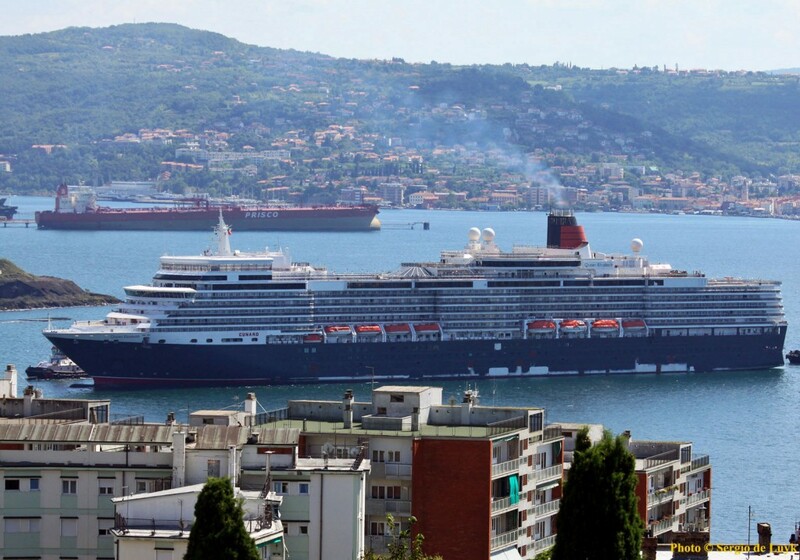 The new Cunard liner Queen Elizabeth during sea trials in Italy. 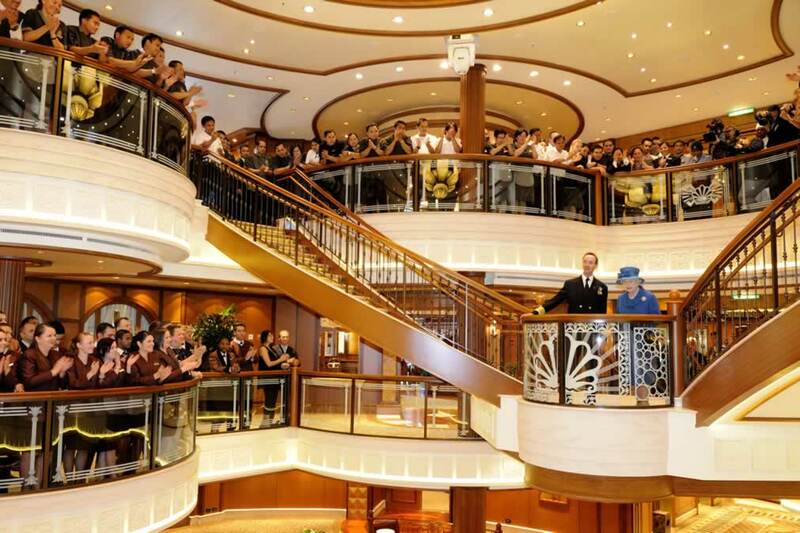 Queen Elizabeth aboard the new Cunard Liner Queen Elizabeth. Previous: An Historical Look at Cunard Line’s RMS QUEEN ELIZABETH… The first in a line of QE liners. Next: From America’s great railways in the 1950s to China’s latest high-speed rail line.